Holly Elissa Bruno, writing in the book, The Comfort of Little Things: An Educator’s Guide to Second Chances, described a moment in her life when "I made a powerful decision: to deepen my spirituality and live a truer life...Yes, I had a happy and fulfilling life. But something was missing. Something was amiss. Something awaited me that I could not see. That something was a second chance...And so I stepped away from the known...to risk the unknown." As she describes the courageous changes she made in her life, she writes: "I had no idea where my quest would take me. But I knew I had to choose freedom over security, learning over repeating, and love over all substitutes." She issues this invitation to other educators: "You have had these moments, these opportunities for second chances. 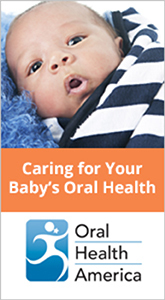 You offer these moments to others every day; you bear witness to a child's wonder and in so doing, open the way for a lifetime of learning. You listen to a person's struggle and hear the dream beneath the suffering. You create classrooms everywhere: on a field trip to the fire station, in the moment a child is about the strike another child, when a burdened parent walks through your door, when things don’t turn out as you had planned, when you listen to your own true voice. This is the territory of second chances." Educators are among the most loving and nurturing people on earth. Yet those same caring adults are too often very hard on themselves. 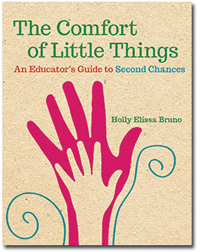 The Comfort of Little Things: An Educator's Guide to Second Chances provides strategies and tips on how to give yourself a second chance. 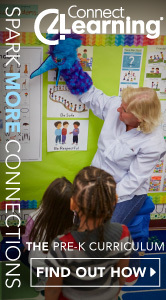 Drawing on the growing body of brain research along with personal experience and stories from educators, Holly Elissa Bruno fills her book with ideas that will help you see the world with the wonder of a child.